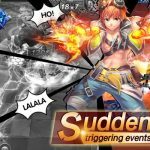 From Hothead Games, a renowned developer which brought us several popular mobile games such as Hero Hunters, Kill Shot Bravo, and Mighty Battles among other releases that topped charts in more than 10 countries worldwide, comes Forged Fantasy, a unique mobile game that set to capture the hearts of RPG fans. 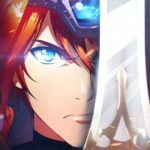 Despite the plethora of action RPGs on both Android and iOS platforms, Forged Fantasy offers unique twists that make it stand out. Starting off with a third-person perspective, the simple controls and interface makes it easy to manage your team in battle, from switching across multiple heroes, changing and aiming at targets, down to timing skill activations perfectly. 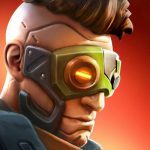 There are currently 27 heroes to collect and upgrade, and as each one possesses unique skills and abilities, creating your very own team requires strategy in itself. Forged Fantasy has various game modes that will test your team-building skills as well as your proficiency in actual combat. It’s important to raise your heroes’ power levels but battle tactics and combat skills are equally important as well. If you enjoy action RPGs especially ones that you can enjoy with friends as well as other people online, Forged Fantasy is must-try for both experts and newbies of the genre. Dive into the world of Teraventa in the midst of chaos and catastrophe, as you gather heroes to battle the looming evil that threatens the very existence of its realm. As you progress through your journey, you can enlist the aid of even more heroes to join your roster. Each battle you go through makes you stronger, as your heroes gain experience points as well as equipment that boost their power. Mastering one hero’s skills in combat won’t be enough to earn you victory as you may constantly need to shift among other members of your team to maximize your efficiency. Although there is an auto-battle feature which can get you through most battles early on, more challenging opponents, especially PvP requires you to actually learn how to fight and use tactics to raise your chances of winning. Join others in coop battles as well to claim even more rewards to further hasten your team’s growth and development. Every battle is unlike any other especially in PvP, as it is unlikely for any two players to have the exact same team roster. Forged Fantasy offers a quick and easy tutorial anyone can firmly grasp in just a matter of minutes. In actual battle, you hero moves on its own and you control each slash or each shot depending on the type of attack the hero has. Special skills build up in battle and activating each comes easily with a touch of a button as well. Switching to your other heroes is as easy as tapping their in-game portraits. Even aiming doesn’t require much precision as you only need to move the cursor to shift from one enemy to another. Ranged combatants can duck and avoid taking damage form enemy shots. The real challenge comes in when there are 5 heroes to manage in battle especially in PvP as prioritization as to which one to take control of and which enemy to try and take down first becomes a tough decision. Likewise, allocating limited resources among all your heroes can pose a big challenge as well as you will certainly acquire more and more heroes as you play. If you’re having some trouble getting past some challenges you know you should be able to beat or just looking for faster and more efficient ways of raising your power and winning more battles, then our Forged Fantasy beginner’s guide can certainly help you achieve that and perhaps even more. So let’s not waste any of your time and instead let’s move on to our Forged Fantasy tips, cheats and strategies! The Campaign Mode in Forged Fantasy is the first one you will step into as you get to know a little more about the game’s story as well as some of its characters. As Forged Fantasy primarily follows progression delimited by stamina, each battle you engage in will cost you some stamina. It will replenish over time though, and there are lots of sources to gain some more. Progressing through the campaign mode is of utmost importance as completion of each stage provides great rewards most especially for the first time completions. Some of the additional game modes as well as initial characters can be unlocked as well following completion of some early stages. Each stage in the campaign shows you possible rewards as well as the recommended power level to give you an idea of its relative difficulty. Don’t be threatened though if your power level is below what is recommended, especially if the gap is not that much. While you can unlock auto battle at an early stage, facing a challenge that requires more power than what you currently have may mean you need to resolve to engaging battles manually. As you continue to acquire some equipment for your characters, you may be inclined to farm for more at an early stage as you will need to do that since a lot of characters have the same needed pieces of equipment. If you can push further ahead of the campaign, though that would still be the best option. Only resolve to farming for equipment once the stage becomes a little difficult for you to complete and you need more equipment to raise your team’s power level. Perhaps in more or less an hour of continuous playing, you can already earn 5 heroes to form a complete team and soon enough after that, you will probably have a couple more to choose from as well. 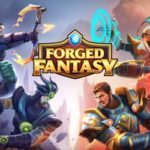 There won’t be such a thing as a perfect team as Forged Fantasy is designed to more or less balance heroes in such a way that no single hero or team can be fully unstoppable. But with a little planning, some sound strategy, and a balanced roster, you can raise your chances of winning even against a seemingly stronger opponent. There are a lot to consider in choosing the members for your team and as you play more and acquire more heroes, your main team may occasionally shift members and subsequently, your prioritization should shift as well. For starters, take note of the role that each hero will play on the team. Heroes are primarily categorized by which lane they belong to in battle. Front row heroes are melee fighters and while there may hardly be any differences in their stats you will know which one plays more offensively or defensively by the skills they possess. Mid lane heroes are ranged combat experts and potentially deal more damage than back lane heroes. Some of these heroes possess skills that focus on one enemy while others have AoE damage. Most support-type heroes and healers belong to the back lane. As it is, ne sure to have a good mix of heroes following this category. Be sure to check the information icon on the hero page as well as the skills that are available including the ones you have yet to unlock. If you are planning on using the hero, you should be aware of what he or she can potentially do before you spend resources for upgrades and enhancements. Likewise, knowing what each hero can do may give you an advantage in battle as well, especially if you will be battling against that hero in combat. Forged Fantasy also has an elemental affinity system which follows your basic rock-paper-scissors format. Fire is strong against nature while weak against water; nature is strong against water but weak against fire; and water is strong against fire and weak against nature. Your team should also have a good mix of these elements in that if you have two front lane heroes and one of them has fire element affinity, it would be best to choose a nature element for the other. In any case, having all three elements present in your squad will be a lot better than having a full team belonging to just one or two elements. There are various upgrades and enhancements to do for each hero in Forged Fantasy and it’s a given that you will never always have enough resources to keep everyone in your roster fully upgraded. As such you have to focus mainly on your top 5 heroes, which you use in battle, and even prioritize within these ranks as one or two of them may later be replaced once you get more heroes that you would like to use more. In any case, try to limit upgrades to only 5 heroes in that once you replace someone on your team, begin focusing on that hero instead of the one you replaced. There’s no such thing as wasted upgrades on even the least prioritized heroes in your collection as there are several game modes in Forged Fantasy that makes use of every hero you have. The first and most basic way of strengthening your heroes is through levelling them up. By using heroes in campaign battles, you and your heroes gain experience points. As that may not always be enough for your heroes, there are xp potions that you earn through campaign battles as well as other game modes and events and you can instantly use these potions to level each hero up. The maximum level they can reach will be your current account level. If you have more than enough xp potions, feel free to use a bit to increase the level of your other heroes. Just be sure that you keep a safe level of inventory to keep your main heroes at top level. As you battle through campaign stages, you will naturally earn a lot of equipment as well as some fragments. On the hero screen, you may see indicators on each hero if you can readily equip them with gears or if you have the necessary materials to craft the gears they need. For lacking pieces of equipment, you can click on the find icon and battle through the stage where you can acquire the needed gears or materials. If you have previously conquered the stage with a 3-star victory, you can use the quick win button to instantly win through the fight and acquire some loot. Take note that it’s not a guarantee that you will always get what you need but repeat as many times as you want until you receive the needed item. As a reminder as well, prioritize progressing through stages and only resort to farming once you hit a dead end. Once your hero gathers all 6 pieces of equipment he or she needs, you can promote that hero to the next rarity level and receive a huge stat boost as well as unlock a new skill on major rarity levels. Each hero has a unit set of 4 skills and each one will be unlocked as your hero reaches a new rarity level. Each skill level can be levelled up as well with limits equal to the hero’s level. You can only use 10 skill points at a time but this will be replenished before you know it. As such, you need not worry about running out of skill points and instead keep a close watch on your coins as upgrading skills will drain your savings a lot faster than you think. You would naturally want to upgrade each hero’s skill but considering the limitations of your resources, learn to cap hero skills at some point and prioritize one hero’s skill over the rest. As an example, levelling up the healer’s ability first proves to be a viable tactic followed by defensive skills of a front line hero. The most difficult enhancement option for heroes is the star rank upgrade or evolution as you need to gather more and more hero shards the higher the star level goes. Following your preferences as far as your top heroes are concerned, you can gather some hero shards you need from the hard mode of the campaign. There are events and quests as well that provide some hero shards, but ultimately, chests from shops give a huge boost to your collection of random shards that can enhance your heroes as well as unlock new ones. Although there are easy ways to gain friends in Forged Fantasy, your Alliance stands as your best source of raid buddies in cooperative gameplay. Additionally, the alliance gems you can acquire by going through raids with fellow members can be used to purchase some rare equipment and hero shards at the alliance store. Perhaps later on there will be more activities for alliances but for now, what’s in store for you as you become a member of any alliance are perks you cannot ignore if you want to progress faster in the game. Coins and gems are the respective regular and premium currencies in Forged Fantasy. Although there are an abundant ways to earn both currencies and that you will probably even feel that you have more than enough coins at the beginning of the game, you will be surprise to find that it runs out faster than you earn it on mid game. As such, don’t be tempted early on to purchase treasure chests using your excess coins. Perhaps you may do so once you have no more direct use for your coins relative to enhancing the characters in your roster. As far as gems are concerned, you would naturally want to save and spend it on hero chests as these chests guarantee a hero with every purchase. To ensure that you will get your hard saving’s worth, hold that itch and save up until you are able to purchase 5 hero chests which costs 100 gems less and guarantees at least 1 3-star hero and above. Other viable uses of gems would be exchanging it for stamina or gold. As stamina replenishes over time though, spend gems on it if you are really close to making huge progress with it. Otherwise just wait for it to replenish or log in at the required time to claim some free ones. For reasons that gold runs out faster than you want it to, spending gems to acquire more is a beneficial move. The PvP Arena is perhaps what is to be considered as the core of Forged Fantasy as you will always find a good match in it regardless of how much you have progressed in the game or how strong your hero team has become. The PvP mode pairs you with a random player whose account level and overall team power is more or less at par with you and there will always be a chance for you to encounter someone at a higher level and with more powerful heroes. Don’t fret though, as PvP in Forged Fantasy is not real-time battle and the enemy teams you encounter are all A.I.-controlled which gives you a lot of advantages. You may want to give auto battle a rest as you can perform a lot better by controlling your heroes manually. Being able to switch at will and using skills more strategically gives you enough advantage in PvP but beyond that, being able to choose targets with a mid or back lane character and eliminating the biggest threats or the softest cookies almost always ensures your victory. Every win you achieve rewards you with 3 PvP keys while losing or reaching a tie gives you 1. Collecting 9 of these keys will unlock a PvP treasure chest containing 3 shards of 2 random heroes. Each hero you use that gets K.O.’ed in battle loses 1 of 3 attempts to participate so at some point, you will have to use your other heroes or revive your fallen ones. Fallen heroes also gain new attempts after a cool down period. On top of the campaigns and PvP, you also have limited attempts daily to engage in raids and the Gauntlet. The Solo Raid is perhaps the easiest one although you will need more heroes per elemental affinity to even get close to fulfilling the recommended power levels of the medium and hard difficulty modes. Solo Raids are divided into 3, representing each element and its availability depends on the day of the week. Be sure to expend all 3 attempts in Solo Raids to acquire fire potion fragments, needed for some equipment of several heroes, which can be difficult to obtain anywhere else. Again, don’t hesitate to try the stage even if you fall short of the recommended power level. Switching to manual controls in this game mode can close the power gap between you and the enemies. The Co-op Raids are much like the solo one except you get to battle through it with a random player, a friend, or someone from your alliance. The power requirements for even the easiest difficulty level are quite high but then, you and your partner will each choose your top three heroes. With manual controls, you can as easily earn victory here as in any other game modes. Mana spheres you can earn here can hardly be acquired anywhere else so be sure to consume every attempt you have to earning these items here daily. The Gauntlet is perhaps the most difficult game mode in Forged Fantasy especially when you are just starting out and don’t have a lot of heroes yet. In here, you need to win against 3 enemy teams to earn coins and Gauntlet Medals which can be used at the shop to buy hero shards and other valuable items. Heroes you use on one set of enemies can no longer be used on the next one. As such, be sure to manage team composition well enough in that you can spread your heroes out to win more sets. In some instances, you can opt to use less than 5 heroes per team especially on the earlier battles where enemies will be a lot weaker. Forged Fantasy provides more ways for you to earn various rewards as you spend a bit more time in the game. The daily quest is comprised of a list of objectives, most of which will be met ease by regularly playing the game and engaging in various game modes. There are a lot of things you can do and for the most part, you will most likely even accomplish some tasks unconsciously. Accomplishing 13 of these objectives will earn you even more valuable rewards; 5 hero shards and more gems. Be sure to constantly check this for objectives met as well as activities you might have forgotten to do daily. Whenever you can, make it a point to log in on the game between 12:00 noon to 1:00 p.m., 6:00 p.m. to 7:00 p.m., and 9:00 p.m. to 10:00 pm to claim 40 free stamina. Take advantage of optional quests that provide you gems and stamina following a series of short video ads. Achievements, on the other hand provide one-time rewards for reaching certain milestones in the game. There is no need to rush getting these rewards but if you want to progress faster in the game and power up your heroes faster, this can serve as a guide for you to aim for as you play the game. On top of the optional video ads you can play in the Quest Menu, there are additional instances where you can earn more gems fast and easy just by watching short video ads. After you complete a stage with a 3-star rating, a pop up on the upper right side may appear prompting you to play a video. You can absolutely disregard this and proceed on to your next activity but if you do play the ad, you will instantly earn 5 gems. Likewise Doing quick wins on previously conquered stages to prompt some gears and shards for your heroes will also occasionally trigger a similar pop-up to appear. Watching the video ad when it does will give you an extra quick win at no stamina cost. For even bigger amounts of free gems, you can check the “Buy Gems” tab of the Shop and click on the Free Gems Icon to see a list of tasks you can complete to earn large amounts of gems. These tasks usually involve downloading an playing other apps and games so it may only be left for those who have a lot of free time or players who are very dedicated to Forged Fantasy. The rewards are in a way equivalent to the difficulty of the objective so if you’re into it, be sure to target something you can certainly achieve. On top of selling goods like a normal store, the shop in Forged Fantasy gives you free treasure chests from time to time. As you claim your first one for the day, take note of cool down period so you can grab the next free chest. As gold and silver chests contain hero fragments, taking advantage of this will help you earn more shards to upgrade your heroes or summon new ones. Additionally, check the Black Market Tab for shards and other important items you need which may be difficult to acquire anywhere else. As items for sale here costs coins or gems, be sure that what you will be buying is definitely needed and cannot be acquired easily enough. There you have it! This wraps up our Forged Fantasy beginner’s guide. We hope you read through each and every tip and strategy we shared and that you enjoyed each and every part of it as well. If you were able to pick up the important pointers before you play the game or as you begin to play it, we are confident that you will be able to raise your team’s power on progress much farther than most players, with some level of dedication too, of course. As we all look forward to future updates and more heroes, we may return and write another Forged Fantasy guide to cover some new stuff. For now though, if you have started playing the game and discovered something helpful you think we should add here, you can let us know about it through the comment section below!